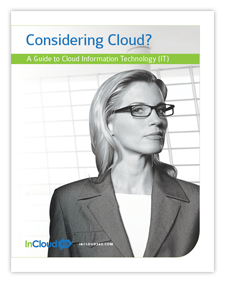 InCloud360 provides services focused on the senior information technology executive role and function; specifically five areas: interim and fractional CIO services, technology executive mentoring, advisory services to non-technical business executives, and coaching to the marketing and sales function of product and service providers on methods to more effectively sell to senior technology executives. Is a temporary full-time chief information officer of any size business that needs leadership in a sustain/maintain role while the permanent position is in transition or step into the role and provide one or more specific high level assignments such as the following: an organizational restructure, strategic planning, acquisition planning and integration, enterprise project oversight, or divestiture. Engagements vary in length depending on the assignment type, but are generally a minimum of one to three months. The Interim CIO may assist with candidate selection in the search process as well. Is an on-demand part-time chief information officer of a small or medium-sized business that otherwise could not afford or would not need a full time executive to hold the position of chief information officer but provides the same expertise and capability of a full-time CIO. Fractional CIOs typically serve several companies and may-or-may-not engage in the day-to-day management of a company’s IT staff or other resources. Engagements generally are one year renewing assignments. This service is similar to a Fractional CIO however the concentration of the focus is coaching the most senior IT leader and/or the business executive which the IT function reports to. This serves well for small or medium-sized businesses that desire a sustainable expansion of capabilities without a resource transition, a confidential evaluation of existing leadership, or proper on-boarding of a new leader. These services help executives gain an awareness and understanding of what is necessary to derive the optimal level of value from their information assets and organization. Additionally, the information technology role varies in scope by organization, culture, industry, product & service diversity, and company size, among other factors. Not all organizations need a position titled CIO and/or reporting to the CEO, however the CIO responsibilities still exist and need to reside in one or more positions within the organization. We can also help the executive overseeing information technology define the roles and assignments appropriately and, if needed, augment the search process with capability assessments of candidates. Are you ready to find out how we can help you? Get Started Today!